Most laptops have a separate Fn key, which usually performs a specific to particular laptop actions (including Wi-Fi on/off, change the screen brightness etc) in combination with the keys in the top row of keyboard (F1 – F12). 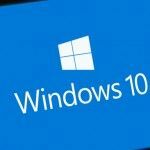 A common laptop owners problem (especially after updating the system or manual installation of Windows 10) is that the Fn key is not working properly. 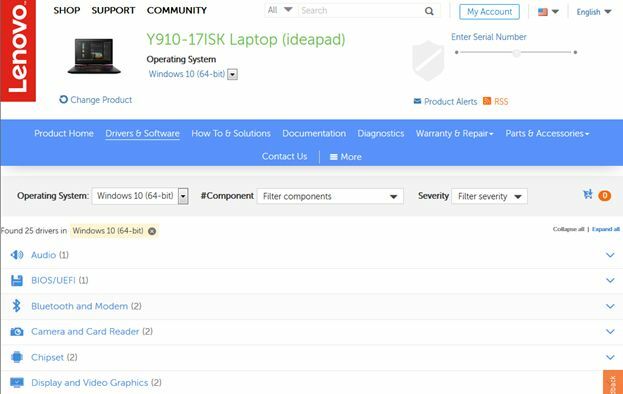 In this guide we will take a look on typical causes of Fn key inoperability under Windows 10 for common brands of laptops: ASUS, HP, Acer, Lenovo and Dell. How to fix Fn Key not Working Properly on Laptop? Consider the typical reasons because of which the Fn key cannot function. As a rule, the problem encountered after installing (or reinstalling) Windows, but not always. The same problem may occur after you disabled startup for some software or after certain BIOS/UEFI settings change. You did not install the system-specific drivers and software from the laptop vendor for the function keys work. Especially, if you have reinstalled Windows and then use the driver pack to install the necessary drivers. Also, it is possible, that the drivers available, for example, only for Windows 7, and you installed Windows 10 (the possible solutions described below). Fn key operation is depend from manufacturer utility, but this program has been removed by the user from the Windows startup. The behavior of the Fn key has been changed (some laptops allow you to change the Fn settings in the laptop BIOS/UEFI). Also these settings can be changed when you reset the BIOS configuration. The most common cause is described in the first part of this post, but below we will take a look at all options for each of the popular brands of laptops and possible scenarios to fix the problem. Set of software and drivers named ATKPackage (ATKACPI driver and hotkey-related utilities) is responsible for Fn key operationing on the ASUS laptop. This package is available for download on ASUS official website. At the same time, in addition to the components installed, you should place hcontrol.exe utility to the Windows startup (added to startup automatically during ATKPackage installation). Download and install ATKPackage for your Windows version. After installation complete, reboot your system and check if the function keys work properly. HP Software Framework, HP Hotkey Support HP On-Screen Display and HP Quick Launch from Sofware-Solutions section of the HP website. 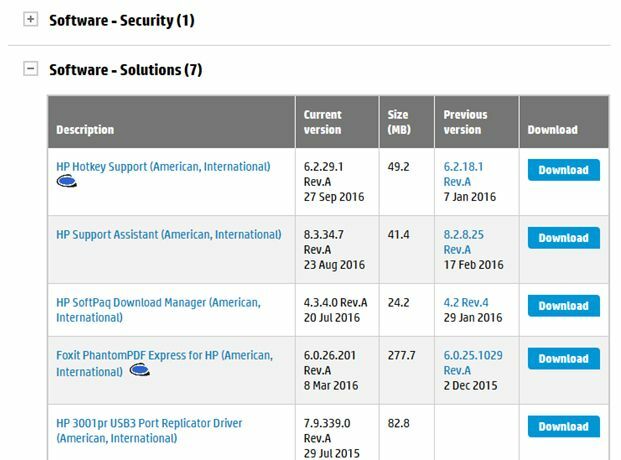 Support Tools Pack for HP Unified Extensible Firmware Interface (UEFI) from section Utility. Tip. For a specific HP laptop models, some of these utilities may be absent. In the BIOS of some HP laptops sometimes you can find an option to change the behavior of the Fn key. It is located in System Configuration. If Action Keys Mode is Disabled, the function keys work only with pressing Fn, if Enabled — then without pressing (but you need to press the Fn to use the F1-F12). If the Fn button does not work on the Acer laptop, it is usually enough to select your device model on official site (in the Select Device section, you can manually specify the model without serial number) and enter the operating system (if your Windows version is not listed, download the drivers from the nearest Windows version with the same bitness). Download and install utilities Acer LaunchManager Application and Acer Power Manager (in some cases it requires to install a newest chipset driver from the same webpage). Tip. If only combinations Fn+F5, Fn+F7 do not work properly, try to install official drivers Wi-Fi and Bluetooth from Lenovo site. 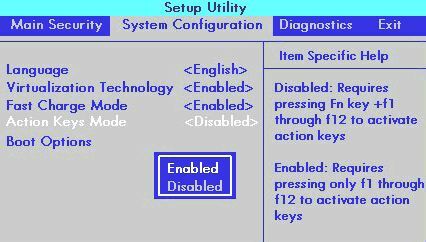 Combination Fn+Esc switches the Fn key operation on some Lenovo laptops, this option is available in BIOS (Configuration -> HotKey Mode). BIOS option Fn and Ctrl Key Swap can also be present on ThinkPad notebooks, which changes the Fn and Ctrl in reverse. You can download this application from Dell support site. Enter your model and switch to the section Drivers & Downloads. Note that for proper operationing of Wi-Fi and Bluetooth keys, you may need the original wireless adapter driver from Dell website. Tip. Check the option Function Keys Behavior in the Advanced section of BIOS/UEFI on your Dell laptop and change it to Function if it is set to Multimedia.